The Virgin. theophanes2 - AMAZON OIL PAINTING CO.,LTD. The Virgin. Detail. c. 1405. Tempera on wood. 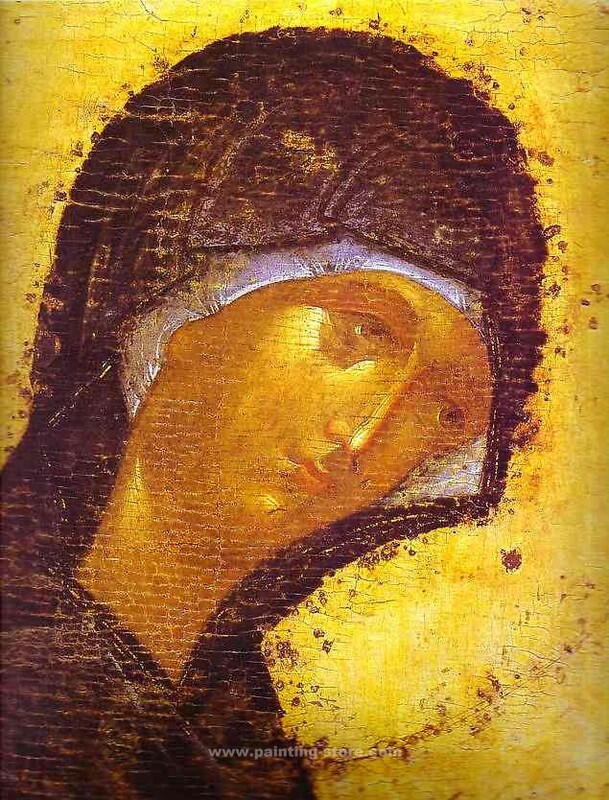 Icon from the Deesis Range of the Iconostasis of the Annunciation Cathedral in the Moscow Kremlin, Moscow, Russia.